We now do some amazing things with technology the size of the top of a pin. In sports commentary, a big topic is the impact of technology on sports. In many sports, one discussion is how reviews cause long delays, slowing down the game and killing the momentum for one team or providing the opportunity to regroup and come back into the game. 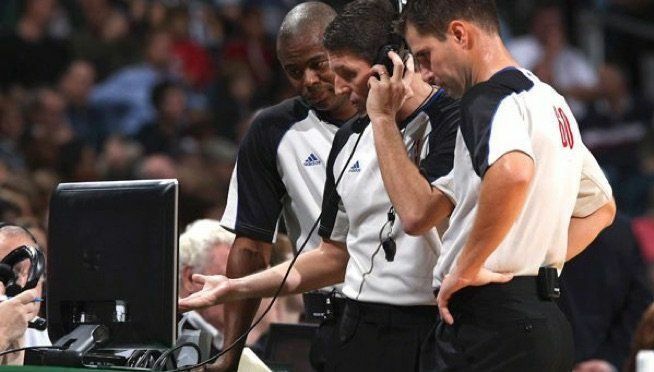 Many see this as the cost of making sure the correct call is made, while others see the process of making the right call ruining the flow of the game. Regardless of where you stand, technology is here to change sports. Most recently, the VAR system (video assistant referee) was utilized in the World Cup and generated many controversies. In the match between Argentina and Nigeria, Nigeria was in the midst of taking the lead, generating immense pressure. There was a play the Nigerian players believed was a penalty. Their captain successfully implored the referee to take a second look at the play. The review yielded that there was no foul. Until this point, Nigeria was coming back from a goal down, managed to tie it up, and was threatening to take the lead. They wanted to get the penalty, but the time away and the right call of no penalty led to a loss in momentum. Argentina then piled on the counter-pressure and eventually scored to win the game. Throughout the World Cup, phrases like clear and obvious error were thrown around. The meaning of this is basically that there would only be a change or a review if there was an error the referee missed that they shouldn’t have missed. If there is any sort of gray area in a call, any sort of reasonable doubt, then the call made by the referee is accepted. The concern here is that a lot of times, the review doesn’t yield the right call. The review is used to defend the referee, and if there is reasonable doubt in the review, then the referee’s call stands. A sense of a lack of regard for the correct decision is what concerns many. This isn’t the first place this idea came about. In one of my favorite sports, cricket, technology enables more accuracy in saying whether a batsman is out. The India cricket board was against using the system citing that the system wasn’t foolproof, and the reliance on correcting an umpire’s mistake rather than go for the right call annoyed many in the board. The NBA saw this too, and only use their review system in the last two minutes of a game, the time where they feel missed calls make or break a game, and therefore is the only time that is worth slowing the game down for. The NFL had its own controversy with this too, with many debating their catch rule, where replays would lead to ruling catches as non-catches, and leading many spectators to question what a catch even is. Tennis, (and cricket) uses Hawkeye technology to see if a ball landed on or off the line in the form of a player challenge. Technology is a constantly evolving entity, and the best way to keep up with it and get the most of technology is to keep using it, embracing it, and working through any kinks, hands on. The goal is to take advantage of technology by building from the mistakes of past iterations and past methodologies. That is a key benefit of SquadFusion. It is a software and a system that looked at how other software and other ways of doing things created issues and left areas unaddressed. This led to the development of a better system. Technology is all about learning from the past and addressing unmet needs and making processes easier and more efficient. Technology is here to make things easier. The wheel was technology, which helped in many ways and got better with iterations. The best technologies are built on the failures and unmet needs or gaps left by previous technologies. The horse-drawn carriage became the cars we see today. Rowboats were replaced by steam-powered boats that didn’t have to rely on the direction of the tides, and the list goes on and on. In sports, the review systems, online administrative tools, and other forms of technological aids all build off the past. Unlike review systems, administrative software is not in its infancy, nor is it perfect. But there has been room for growth and room for adaptability, which SquadFusion provides. This technology adapts to the changing needs of league managers, parents, and coaches. It has learned from past software and continues learning from current demands and anticipating the future.